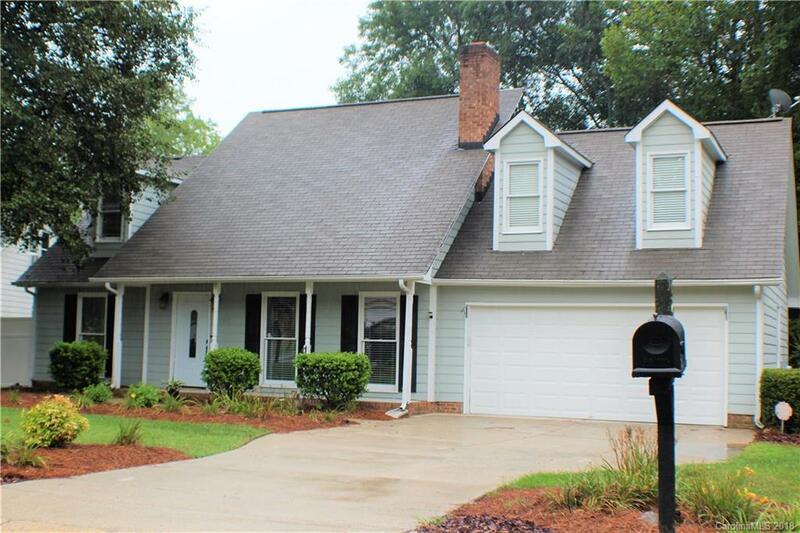 Attractive 3 Bedroom, 2 1/2 Bath home boasts a dramatic 2 story Great Room with 2-story wood burning fireplace, ceiling fan & open staircase to the spacious open loft above. The Dining Room is open to the Great Room, has crown molding, beadboard wainscoting & sliding door to the huge 2-tier deck with hot tub. The Kitchen has all Stainless appliances including side by side refrigerator, window over the sink with view of backyard, pantry, ceiling fan, crown molding & Bay Breakfast Area. The Main Level Master Bedroom has crown molding, 2 windows for lots of light, ceiling fan, walk-in closet & Ensuite Bath with garden tub & separate shower. Spacious secondary Bedrooms upstairs, both with ceiling fans, dormers & ample closet space. Fresh paint & new carpet throughout. Large .476 lot & fenced backyard. 2-Car Attached Garage with opener & keypad. Located next to cul-de-sac. Neighborhood entrance to Torrence Creek Greenway. NO HOA or Covenants & Restrictions. 13 Month HWA Gold Home Warranty.